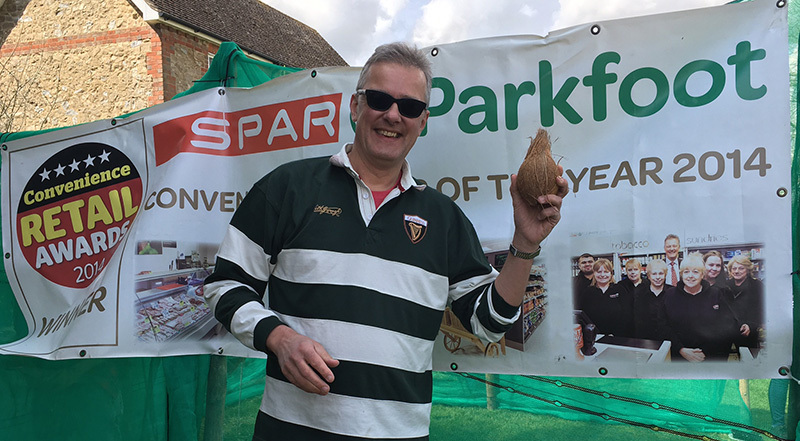 Parkfoot Garage and West Malling Butchers @Parkfoot are proud to be main sponsors of this year’s West Malling Lights Festival on 2 December from 12 – 5pm. We will have two stalls outside West Malling Flowers offering free tastings, free jet wash vouchers and free give aways, plus you can order your Christmas turkey and your Christmas tree for local delivery. 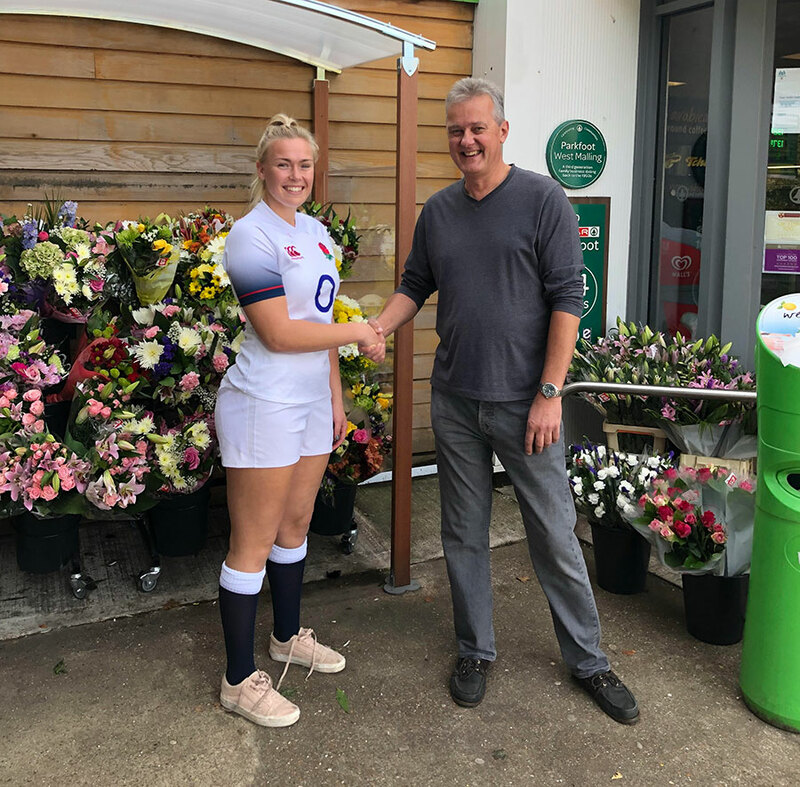 Parkfoot are proud to sponsor Rosie Galligan, England Rugby Player. Rosie worked for Parkfoot before she reached the big time and is seen here clinching the deal with Parkfoot Managing Director, David Charman. 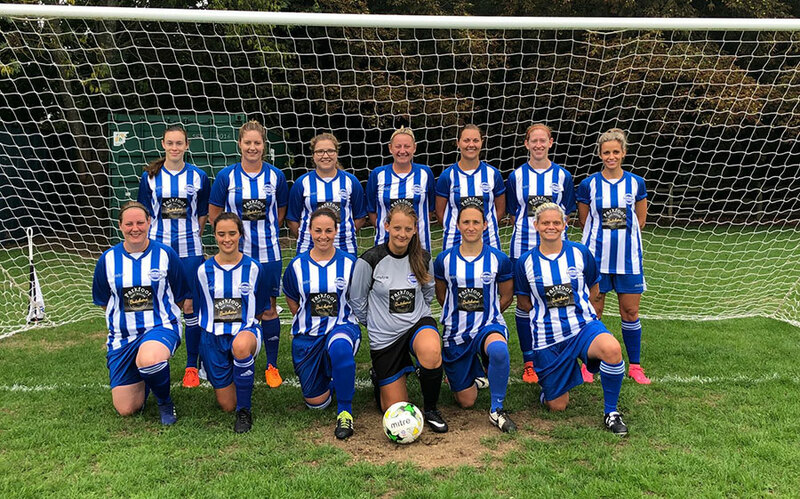 Parkfoot is also sponsoring local football and here are the Aylesford Ladies FC in their new kit featuring our West Malling Butchers at Parkfoot logo. Good luck team – hope you have a great season and the kit brings you luck. We’re always happy to be putting something back into the local community we have served for three generations. 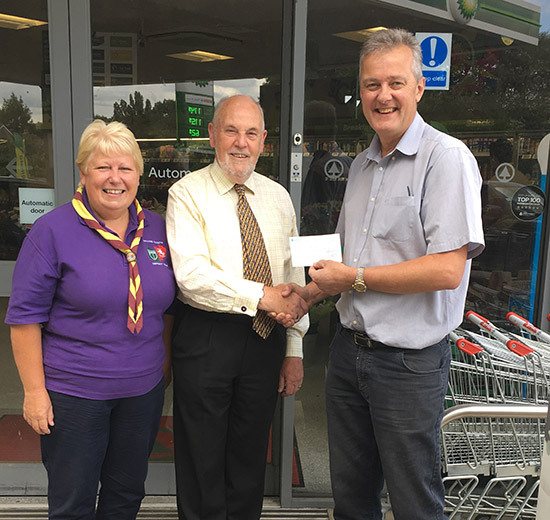 Our managing Director, David Charman, handing a cheque for £300 to local West Malling District Scout group to improve their campsite at Comp Wood. All the money raised at Parkfoot from selling carrier bags for 5p goes to local and national charities, including schools, community groups, Save the Children and Marie Curie. Parkfoot and its customers are proud to feature prominently in this latest advert from Tchibo. David our Managing Director gets a word or two in, as well! We regulary receive great feedback about our 100% arabica freshly-ground Tchibo coffee – that’s why we put in a second machine. Since we re-developed our convenience store in 2013, we have been quietly gaining a national and international reputation! “The last three years have been beyond our wildest expectations,” said managing director David Charman, who is the grandson of Sonnie Charman, the founder of the business back in 1948. What was once the family house was demolished three years ago to make way for a state of the art Spar convenience store, incorporating a butchery; an in-store bakery providing hot food; an award-winning off-licence and many locally-sourced products. 2nd Place Highly Commended (NACS Global Convenience Stores Award) 2nd best in the world!! And we were no stranger to awards before, winning the coveted Forecourt Trader of the Year back in 1996 which is unusual for such a small, independently-owned and run operation. Parkfoot has been a Living Wage Employer since 2013, although we had been operating the Living Wage policy before that, having been made aware of it by one of our Directors in 2010, and our ethos since the business began in 1947 has been to take care of our employees and share our success. Some members of staff have been with us for over 30 years. We think we were the first petrol station in the UK to pay the Living Wage to all our 37 employees. In a traditionally low-pay industry with high staff turnover, Parkfoot have built a committed team of workers who can show initiative in the many difficult situations that face a 24 hour, 365 day a year operation. The 15 staff who were with us before a recent expansion have an average length of service of 14 years and are all still with us. Parkfoot’s lowest paid staff receive £8 per hour, a current Government target for 2020. The Living Wage plaque is prominently displayed at the entrance to the store, and Parkfoot publicity leaflets proudly carry the Living Wage Logo. 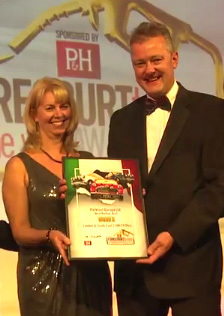 Managing Director David Charman has a high profile in the forecourt and convenience retailing world, is a monthly columnist for the Forecourt Trader magazine, attends many meetings with fellow retailers and often speaks at industry events and award ceremonies, where Parkfoot is a frequent winner. 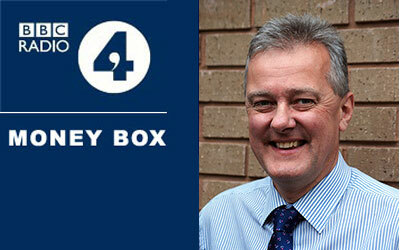 He is also often asked to comment on issues on the radio, including a BBC debate on low wages. He never misses the opportunity these occasions provide to promote the Living Wage and to raise awareness of its benefits both to business and staff. Fellow director Martin Whitlock, has written for the national press about the experience of being a Living Wage employer, most recently on The Guardian website. Here he drew attention to the benefits of the living wage not only for businesses and their employees but also for shareholders in providing a reference for understanding how much of the business’s proceeds belongs to its legal owners and how much to the workforce. This article attracted 479 direct shares on social media and 204 reader comments. Annie Oakley, Company Secretary and General Manager said: “The Living Wage is now part of the identity of Parkfoot Garage. Everyone in the area knows we pay a decent wage. We haven’t had to advertise beyond our own noticeboards for several years. For a local business, this is a real strength and is becoming one of our defining features as well raising awareness of the Living Wage. Lots of customers have commented on it. Parkfoot Garage was bought by Sonnie Charman in 1948. 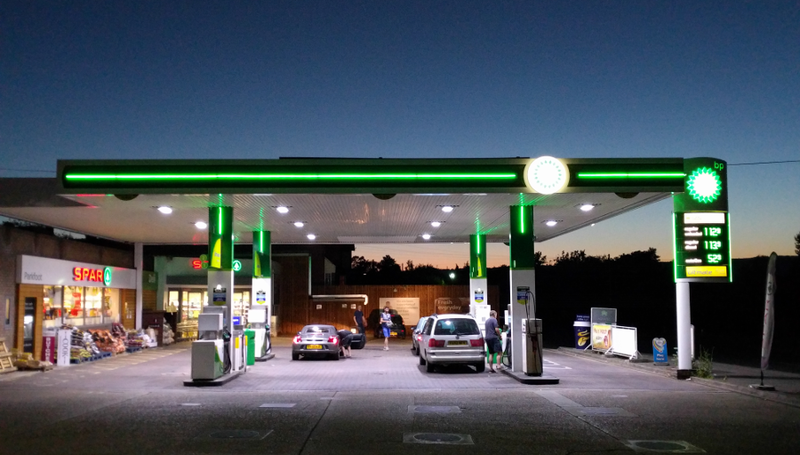 Spotting the potential of this petrol station on the main A20 to London, he sold up his small garage in Sutton Valence and took over Parkfoot – so named because it stood in a Kent rag-stone quarry at the foot of Leybourne Park. The business grew and eventually Norman’s son, David took over and still manages the business today. Parkfoot is one of a small number of independently-owned sites in the UK and the ethos of the family-run business has always been to offer great service, particularly to local people, which is why in 2012 the decision was taken to invest in a re-developed convenience store, with in-store off-licence, butchery and bakery. “This place is open 24/7 and is a life saver when most other places are shut, even open on Christmas Day which helped me pull off Christmas dinner without a hitch. Well done to all those who manned the store. Old fashioned service that seems to get better each year.” Robert. “Brilliant selection on the meat counter. Always get my meat for Sunday lunch here.” Stacey. “No1 place in town, from fuel to papers, drink to food. You need it they’ve got it. I would recommend Parkfoot Garage to everybody.” Michelle. So if you need to fill up your car or your freezer; buy fresh fruit and vegetables; choose some deliciously-fresh meat or fish; grab a loaf or some pastry treats; make use of the car washes or jet washes; pick up your favourite Cook frozen meal or browse the extensive off licence for speciality beers; local wines, sparkling wines or spirits (many on special offer), make sure you head to Parkfoot! 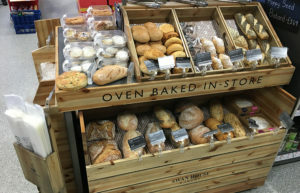 Our in-store bakery... produces gluten free cakes, organic loaves and hot meals such as pizzas and wraps at breakfast and lunchtime? 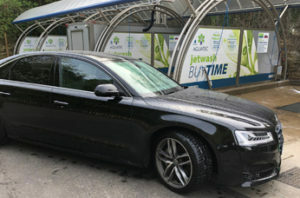 Our Aquatec Car Wash Centre... offers 4 hot wash jet washes and that we have our own bore hole so hose pipe bans do not affect us? 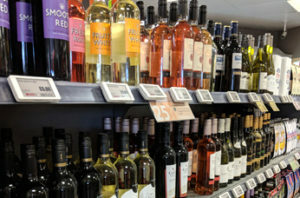 Our in-store off-licence... stocks craft beers, local wines and has a huge chilled section, delivering ready-to-drink alcohol 24 hours a day? We have our own generator on site, so power cuts don't affect our pumps and tills?